In addition to rotary switches, Tower also designs and manufactures a variety of slide, rocker and toggle switches to meet your application needs. All Tower switches are designed for reliable performance and long service life. 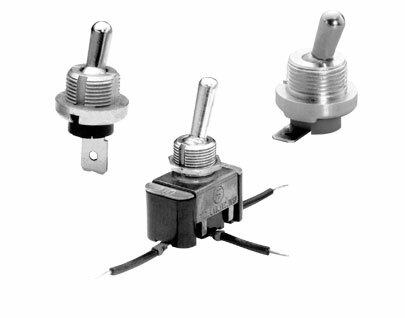 Tower offers mid-sized to miniature non-illuminated, snap-in Rocker Switches. Both styles are single pole, 12A to 16A amp, with options of solid color rockers and standard or custom rocker face legend printing. Certifications include UL and CSA. Typical applications include kitchen appliances, range hood, portable appliances, wet/dry vacuums, automotive and marine applications, coffee machines, and many more. A rocker switch is the best design choice for any product that requires an On/Off switch. Tower standard power slide switches are designed for medium duty and high-current applications. Options include SPST, SPDT or custom circuitry. 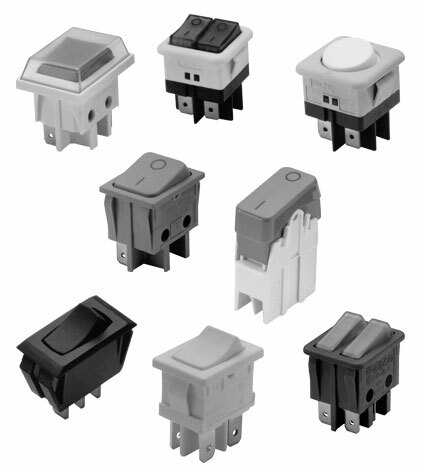 Our slide switches come with traditional metal housings, chassis and panel mount styles. 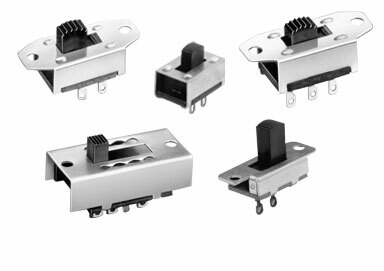 These compact switches are easy to install, and with a rating up to 13 Amps on selected models, they provide a value-alternative to other, more expensive high-current switches. All Tower slide switches are UL and CSA approved. Common uses include personal grooming appliances such as hair dryers and curling irons; reversing switches for window and ceiling fans, air cleaners, power tools, voltage selector for power supplies and many other applications. Tower toggle switches are designed to meet the highest standards of quality and reliability. Design features including rugged construction, positive snap action and minimum arcing combine to ensure long, dependable service. Applications are virtually unlimited and include electric equipment, variety of home appliances, power equipment, and more.